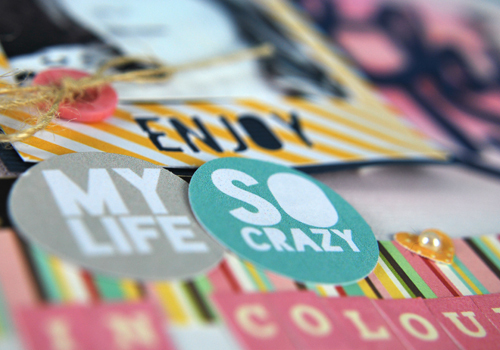 Did you guys get super crafty over the weekend to celebrate (inter) National Scrapbook Day? I noticed quite a hive of activity on Instagram and Facebook groups, with lots of challenges and other fun ways to get the creative juices flowing. I’ve been watching some Sketchbook tour videos on YouTube recently, especially from some artists and illustrators that i follow, and so i thought it might be fun to share a scrapbook tour with you guys. It seemed only fitting, seeing as it was iNSD recently. So here is a video showing you one of my most recent scrapbooks. Yes, the products will be older, but a lot of the design techniques and layouts will, i’m sure, still be used for inspiration. 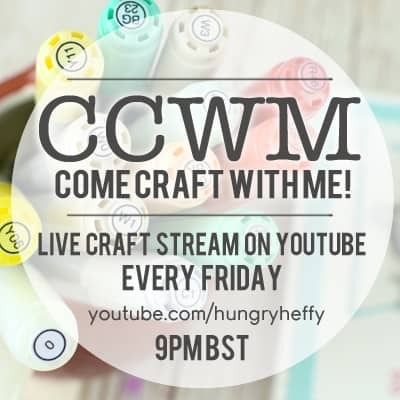 I hope that you are inspired by some of my layouts, and maybe even get a bit crafty yourself! The sun in shining and Lesley is smiling!! 😀 Doesn’t the world seem better when there is sunshine!? YEAH! 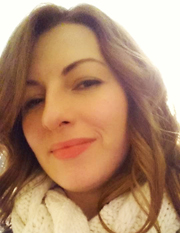 In the previous photo I had short blonde hair, and as I now have long brown hair, it really didn’t look much like me! I thought it was time for an update! It was one of those things that i had been meaning to do for ages but didn’t quite get round to it! I know you guys know what i mean! One of those things that gets pushed from one list to the next! Speaking of which, there was something else on that perpetual list that i finally managed to cross out … a YouTube channel trailer video for new visitors! 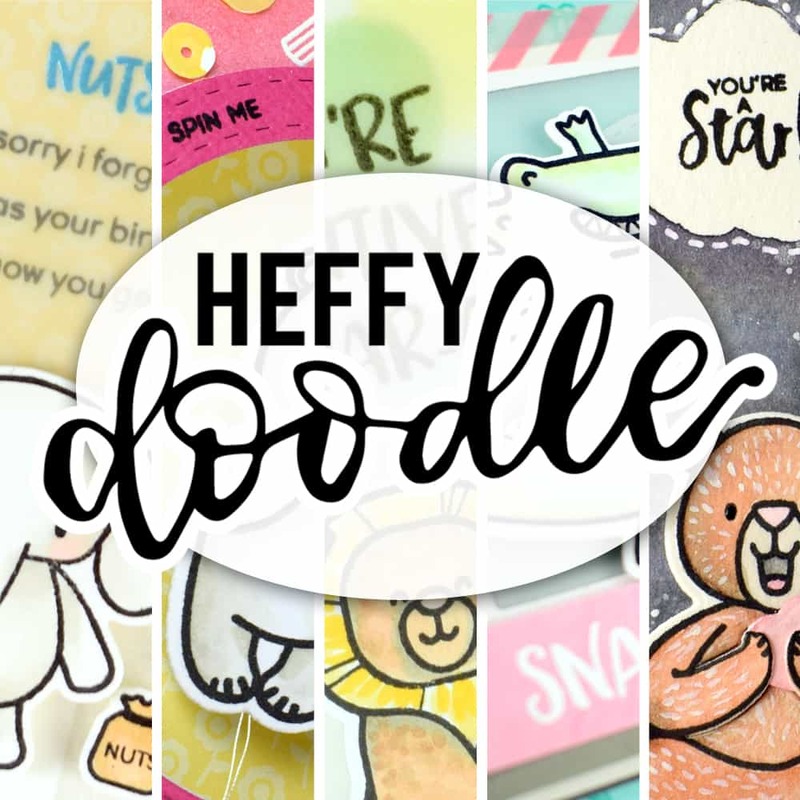 It would be rude not to share a little craftiness with you guys so here’s a card i made a little while back that didn’t have a video. I don’t think i have shared it before, apart from on Instagram! Isn’t she a cutie!? I used copic markers to colour her and her furry friends. I think the foxes are so sweet. I wish i had a fox! 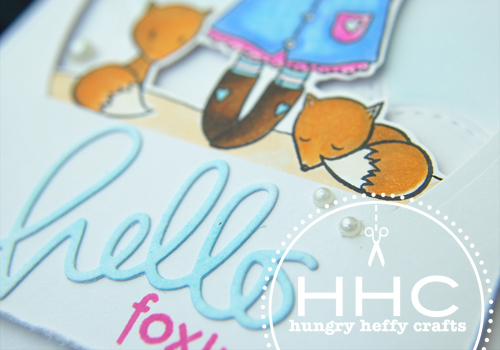 The word ‘Hello’ is from a die cut – and I used a little distress ink to give it a blue hue, and added a little stamping underneath! Lovely jubbly! 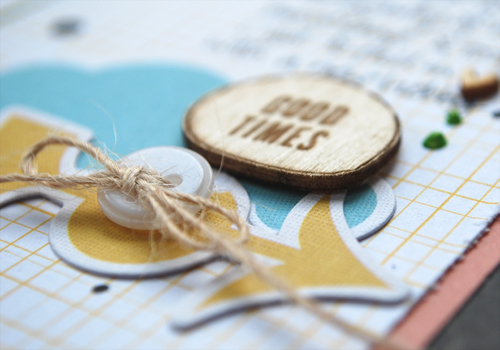 That’s all for now, but i also wanted to say that i am working on a Scrapbook Tour video in honour of (inter) National Scrapbook Day last weekend! so watch this space!! Have a great day, and don’t forget the sunscreen! 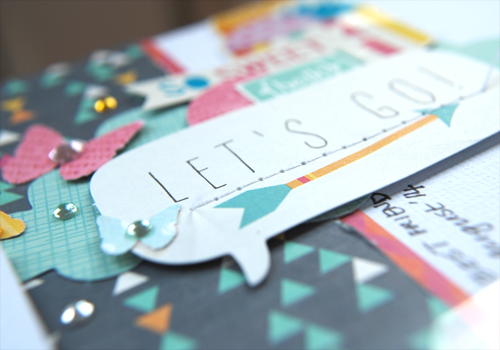 Wilna has been inspiring me to play with mixed media, bright colours and the silhouette cameo, and so this layout is really a mix of all these things. Its not usually my typical style, but i always enjoy breaking the mould every now and again. To start I wanted an ombré effect so I used watercolour to create horizontal lines of pinky colour and I wanted to put the Polaroid frame on top. I was also playing around with the print and cut function on the silhouettes using a freebie from Jessica Sprague. I think those hexagons are lush! I have been hunting around to find a link but i simply cannot get my hands on it so if you find it please leave a comment so i can add the link. When making the print and cut file, I just threw on a few other things to cut out- no rhyme or reason- but pretty much used them all on the layout. 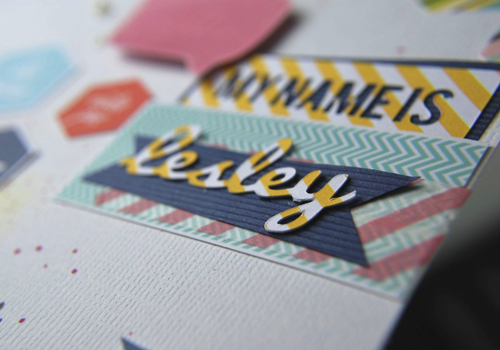 I like the way the ‘My name is : Lesley’ tag turned out. 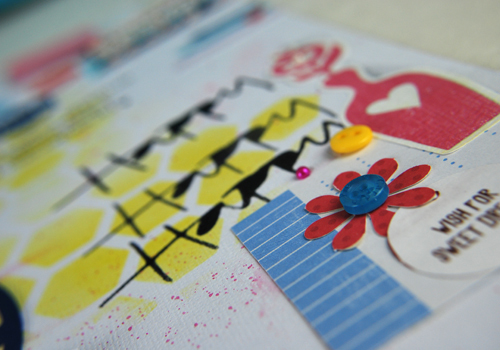 Once I had popped out the hexagons from the printed card, I really liked the negative which was perfect to use as a mask- a little bit of distress ink later and I had a bright yellow funky design as the start of my background. Next I added some watercolour pink flicks and dribbles. I also used black ink and a blending tool to create the word happy using the negative of a silhouette cut. This is the my crazy, colourful life of me.